I give a keynote talk next week in Amsterdam at the Lexpo Legal Innovation event in Amsterdam (agenda, speakers.). 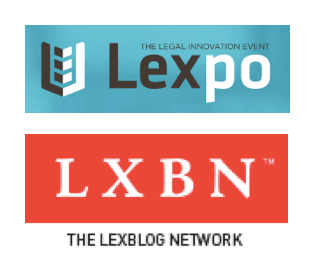 In connection with it, The LexBlog Network (LXNB) interviewed me: Fireman & Company Partner Ron Friedmann Talks Lexpo and Legal Tech. Mellina White-Cusack conducted the interview. LexBlog and LXBN founder Kevin O’Keefe is also speaking at Lexpo. I re-publish the interview here. How did you first get into legal tech and innovation? During law school, I decided I did not want to practice law. I was a summer associate at three very different types of law firms over two summers. Despite the variety of work, it did not engage me. So upon graduation, I went to work for Bain & Company as a strategy consultant. After three years at Bain, I was ready to move on. In my job search, through friends, I was introduced to then Wilmer Cutler & Pickering. It was one of the first large law firms where most lawyers had and used PCs. And many of those lawyers had ideas about how to apply technology to law practice. Management wanted to support that enthusiasm, but also bring some order to it. The firm created a job for me to bring focus to its practice tech efforts. I had the right combination of business experience, tech comfort and skill, and law to do the job. My title, in retrospect, was awful: Director of Computer Applications. In 1989 when I started, the idea of practice support as a discipline barely existed. At that time, few people in large law firms focused on applying legal tech to law practice. With the help of my mentor, partner David R. Johnson, I quickly met many of them. There are a few reasons. First, I generally get into whatever I do – or I don’t do it. For the record, I have a huge capacity to do work effectively, even if I don’t like it. I just won’t do it long term. Second, I worked with a great team of people at Wilmer. I enjoyed the company and deep intellectual engagement with smart colleagues who had cool ideas. (Sometimes too many ideas – part of my job was to prioritize them.) And beyond Wilmer, I met fellow travelers in other firms with similar ideas, many of whom I see at conferences or in social settings frequently. As one of them said recently, we are like a family. Third, I was excited by what I saw as the land of low hanging fruit. Wilmer was automating and re-engineering workflows. But Wilmer was the exception among large law firms. Most lawyers were practicing law like it had been practiced decades earlier. It seemed inevitable that tech would sweep the market and dramatically change how lawyers worked. And fourth, the legal market seemed like it was ripe for change. There were multiple articles about the death of the billable hour, which would create even more demand for tech. Well, there are still a lot of articles. Hope springs eternal. What’s the greatest challenge in your work today? Change management and legal economics are flip sides of a single challenge. No one likes to change. People diagnosed with life-shortening medical conditions often don’t change. They foolishly ignore doctors’ recommendations for drugs, diet, and exercise that demonstrably improve their prospects. If they don’t change, why would you expect anyone, lawyers included, to change how they work? The legal market faces an additional barrier: economics has long worked against change, especially adopting productivity enhancing technology. Why worry about improving efficiency when you are paid by the hour? Fortunately, that view is fading as even the most profitable firms face price pressure. A lot of my consulting practice is as much about adoption planning and change management as it is about any specific process or technology. You can have great new tech or a great new process but unless lawyers adopt it, why bother? When I started doing legal tech, few were doing it. And fewer still were focused on how tech could help improve law practice and law firm business operations (beyond finance). In 1991, David R Johnson, Jim Moore, and I started a group called the Law Practice Technology Roundtable. We assembled 40 people from law firms and law departments who were interested in applying technology to law practice. We met annually or semi-annually for a decade. Some of the people I met through it are close professional and personal friends today. In this century, with Mary Abraham and Oz Benamram, I organize an annual Knowledge Management Summit. I also organize a group of legal KM professionals in the Washington, DC area (where I live and work). What’s the one single message you’ll want to leave with the Lexpo audience members? Technology is not enough. My message is that lawyers must improve service delivery and client value. That means learning the client’s business, scoping and managing matters, improving processes, delegating work, and a host of other steps. Technology supports these; indeed, is critical to them. But technology alone is not enough. New tech must be accompanied by change management and adoption planning, supported by the right economic incentives.